The Pilot. Two worlds collide when the Doctor meets Bill. A chance encounter with a girl with a star in her eye leads to a terrifying chase across time and space. 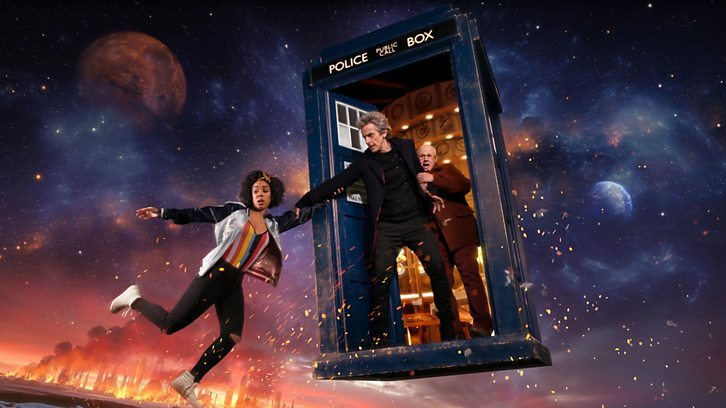 Bill’s mind is opened to a Universe that is bigger and more exciting than she could possibly have imagined - but who is the Doctor, and what is his secret mission with Nardole on Earth? The Doctor is played by Peter Capaldi, Bill by Pearl Mackie and Nardole by Matt Lucas.